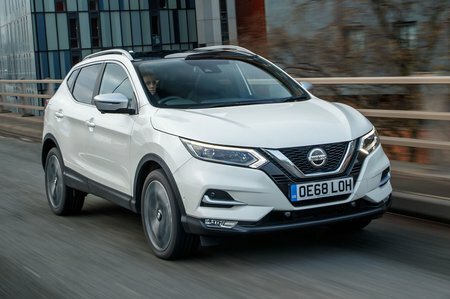 Nissan Qashqai 1.3 DiG-T 160 Acenta Premium 5dr 2019 Review | What Car? What Car? will save you at least £1,486, but our approved dealers could save you even more. Although the Nissan Qashqai is no longer our favourite family SUV, it remains a sound proposition. If you choose wisely it's one of the more comfortable cars in the class, and the 138bhp 1.3-litre petrol engine really impresses. The Seat Ateca and Skoda Karoq have more room and are better to drive, but the Qashqai should still make it onto your shortlist. Worth a look because it takes the basic Visia spec and adds dual-zone climate control, 17in alloy wheels, automatic lights and wipers, and snazzy interior ambient lighting. You still have to live without parking sensors, a DAB radio or sat-nav, though. There’s also a 158bhp version of essentially the same 1.3-litre petrol. It’s not overtly stronger for day-to-day use to be honest, so given how strong the lower-power motor is and the not-insignificant price premium, it hardly seems worth it. That is unless you tow a caravan, where the extra oomph could prove useful, or you want the option of an automatic gearbox, which the 138bhp engine doesn’t have. It's a dual-clutch auto 'box that's impressively responsive, if a little jerky in stop-start traffic.